Learn more about the plays of the Permian Basin! PBPA provides a “Know Your Play” section in our PB Oil & Gas magazine, and hope you find it useful. Click below to learn more about these important areas. 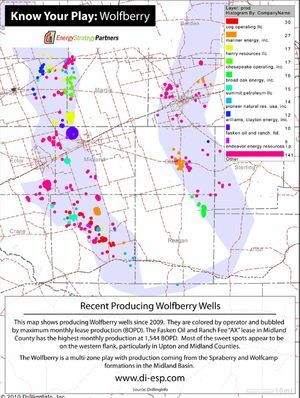 The Wolfberry Shale lies in both Texas & New Mexico below the Spraberry Formation consisting of both oil and gas. 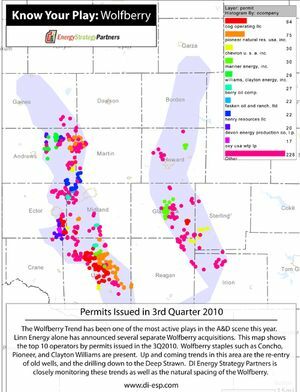 It is commonly referred to as the Wolfberry Trend, a term used to describe the area of the Spraberry & the Wolfcamp zones that are comingled. The limestone in this zone can sometimes be up to 2,500 feet thick and the shale is 300-800 feet thick. This trend is one of the newest in the region. The Avalon Shale is synonymous with the Leonard Shale and is part of the Bone Spring Formation. Discovered recently, it consists of oil, natural gas and gas. The depths of this shale range from 6,500-9,000 feet consisting of sandstone zones that are separated by shale deposits. The Avalon-Leonard Shale located across various parts of southern Eddy & Lea counties in New Mexico. The Bone Spring consists of three zones on the Texas & New Mexico. Mostly made of sandstone, there is some shale as well. It lies between the Delaware and Wolfcamp. The upper layer is combined with the Avalon Shale. Next lies the middle (or 2nd) bone spring, then the last (or 3rd) bone spring. 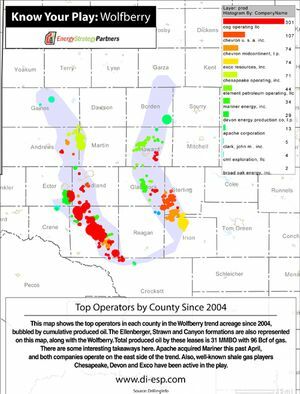 Covering 2,500 square miles & 6 Texas counties, the Spraberry Formation is one of the largest in the nation for total proved reserves. It was once dubbed the “Largest Uneconomic Oil Producing Play in the World.” The trend is made up of mostly “Spraberry Sand”, a sand that makes oil recovery difficult. The rock in this area is naturally fractured. Even with many technological advances, the Spraberry retains about 90% of the reserves originally figured. 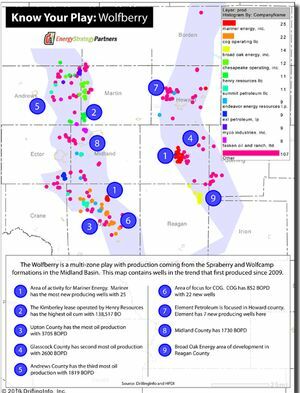 Today, the Spraberry has produced more than a billion barrels of oil. Most reservoirs of the Yeso platform lie on the Central basin platform found the New Mexico portion of the Permian Basin. A few minor reservoirs are located on the southeasternmost part of the Northwest shelf. Reservoirs in this play produce from the Drinkard, Tubb and Blinebry members of the Yeso Formation (Permian). Drinkard and Blinebry reservoirs are principally in dolostones and limestones; Tubb reservoirs are principally in sandstones. The reservoirs produce oil and associated gas. Depths to reservoirs range from 5,000 ft to more than 7,000 ft. The Leonard Shale is an oil and gas field covering counties in Texas and New Mexico. The Leonard Shale is the same as the Avalon Shale, but is named differently due to the shale rock age.